Baghdad (AFP) - Iran's President Hassan Rouhani arrived in Iraq on Monday for his first official visit, state television said, as Baghdad is under pressure from Washington to limit ties with its neighbour. Before leaving Tehran Rouhani hailed the "special" relations between Iran and Iraq, saying they could not be compared to Baghdad's ties "with an aggressor country like America". His visit to Iraq is the first since he became president in 2013. "Iran-Iraq relations are special," Rouhani said at Tehran's Mehrabad airport before flying to Baghdad, Iranian state television reported, adding that Tehran was always ready to help its neighbours. "America is despised in the region. The bombs that the Americans dropped on Iraqis, Syrian people and other countries cannot be forgotten," he added. Baghdad has been under pressure from Washington to limit ties with its neighbour, particularly after the United States last year withdrew from the 2015 nuclear deal with Iran and hit Tehran with sanctions. Iraq was given limited waivers to continue buying electricity and natural gas from Iran, with Washington calling on Baghdad to partner with US companies to become energy independent. Iran has close but complicated relations with Iraq, with significant influence among its Shiite political groups. Tehran dispatched "military advisors" and equipment overnight along with the famous Revolutionary Guards elite Quds Force commander Qasem Soleimani to prevent IS jihadists from approaching its western borders. 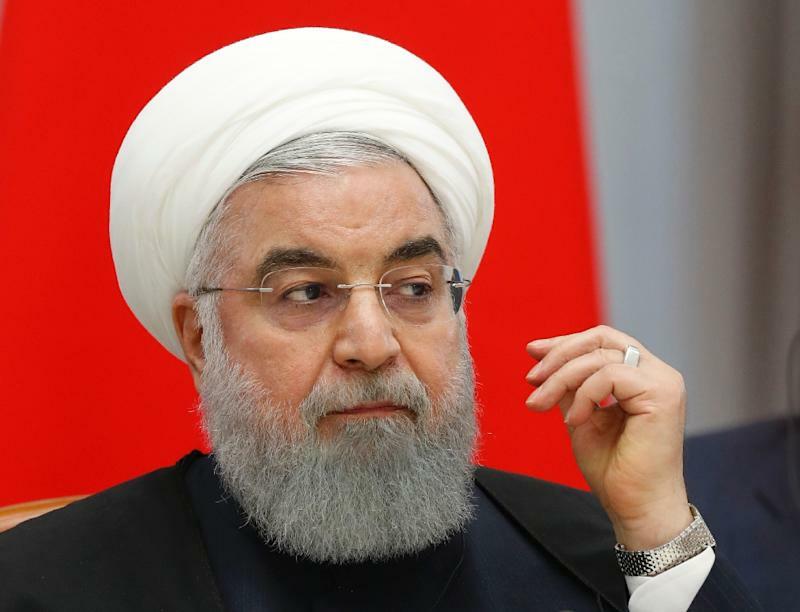 During the visit, Rouhani is set to meet Iraqi Prime Minister Adel Abdel Mahdi and President Barham Saleh, as well as the country's chief Shiite cleric Grand Ayatollah Ali Sistani, according to the Iranian government's website. Iranian Foreign Minister Mohammad Javad Zarif preceded Rouhani to Iraq to prepare for the visit.